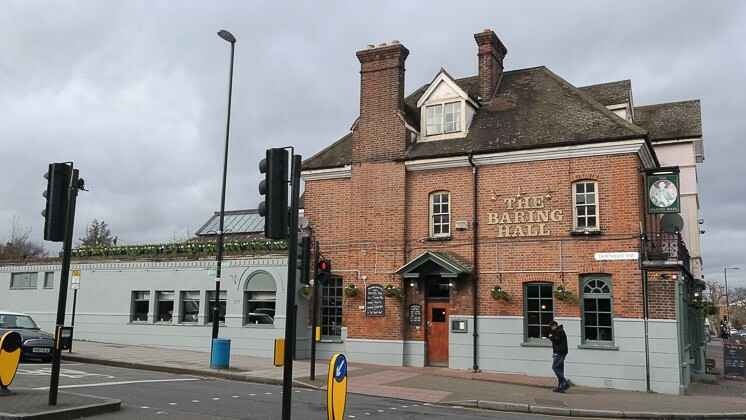 I thought I’d try a wildcard Sunday lunch one weekend and booked The Baring Hall Hotel near Grove Park, Lewisham. Parking was a bit difficult, we ended up parking in a residential road a few streets away. The venue looked very rundown outside and it didn’t improve inside! 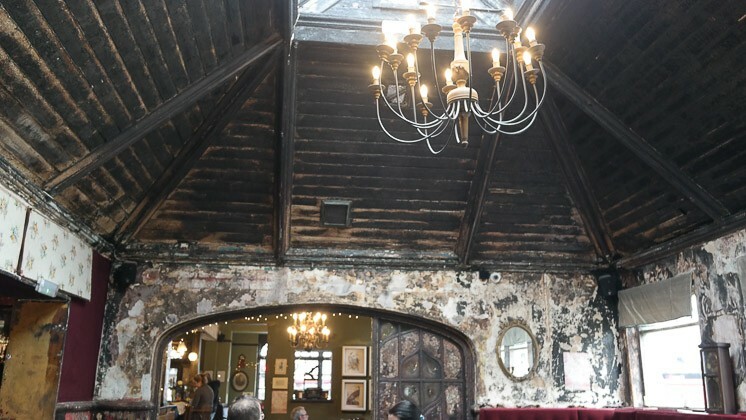 The main bar area was painted and have some nick knacks dotted about – the restaurant section had a very high ceiling with skylight – the walls were black with smoke though, it seemed like there had been a fire a few years ago and they hadn’t repaired it. After reading a bit of literature, it seemed this was the case. It certainly gave it an unusual feel which is difficult to describe. You either like or don’t (split feeling within our party too; I liked it). As this was a pub and restaurant, we were able to order draught beer and cider. Claire ordered a processco, I asked for a pint of blackcurrant and soda. We skipped starters and went straight to the main course. 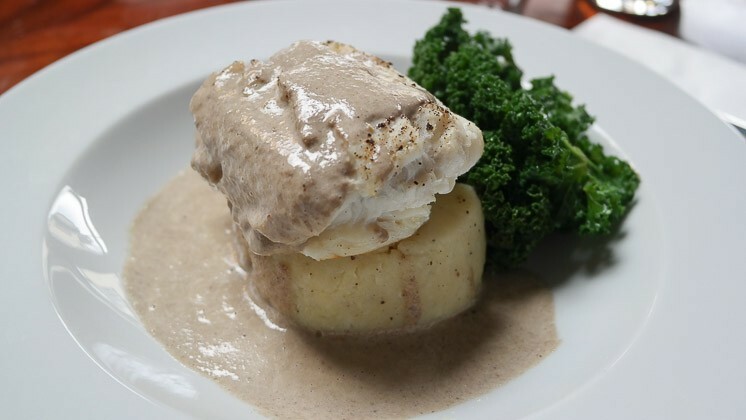 We ordered 3 lots of roast beef (one being smaller for JW – gluten, wheat and dairy free), along with a roast chicken and also a cod. 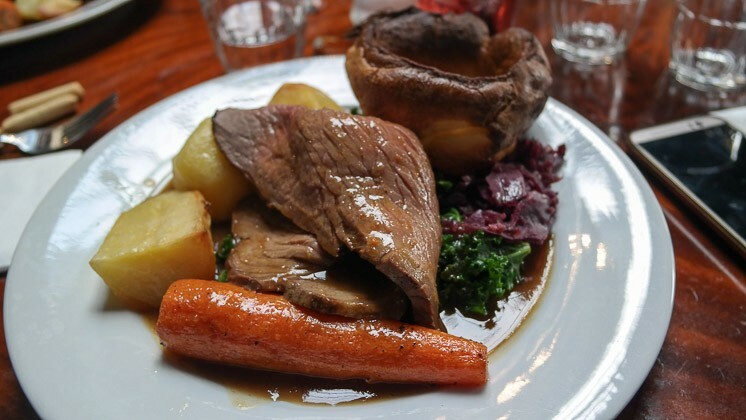 It was served fairly quickly and consisted of 3 large roast potatoes, kale, 1 whole carrot, red cabbage, 2 large slices of medium beef along with a slightly overdone Yorkshire pudding. This was all topped with thin gravy. The beef very nice and tender, it was cooked to my liking. Whilst the potatoes were not fluffy inside, they were crispy. I’m a bit weird in that I do not overly like vegetables, but love curly kale – and there was lots of it, along with red cabbage. The carrot was cooked al dente and very nice. Overall a nice enough Sunday lunch. We actually skipped desserts, there wasn’t really anything that jumped out at us… We did have some coffees though. 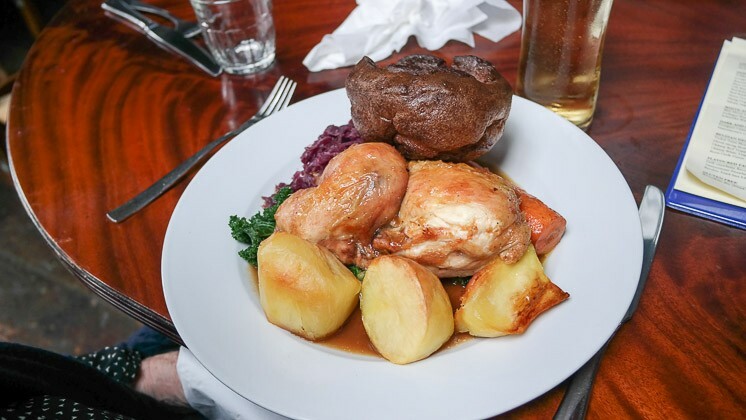 We were made to feel welcome with JW, and they were able to provide a Sunday lunch for him. We didn’t notice any baby changing facilities, but they did have a clean high chair. A mixed review, this one. 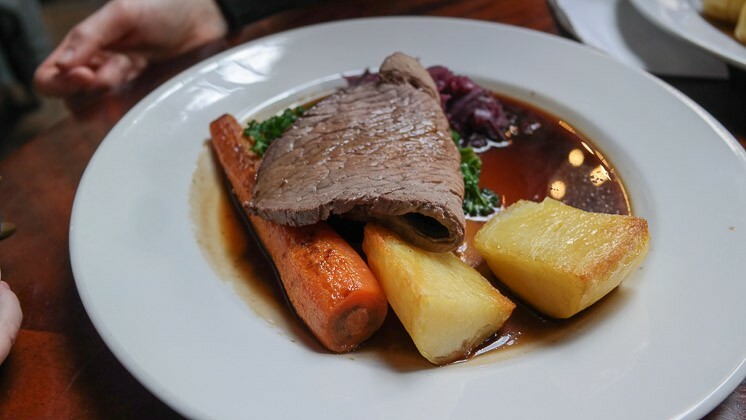 The service was friendly and the food was good quality, I enjoyed the beef and vegetables – the Yorkshire was overdone and the roast potatoes were not perfect. It really depends on whether you mind eating in a fire damaged restaurant or not. I quite liked it, but others in our party didn’t at all. So, I’m going to score The Baring Hall Hotel 3.5/5, visit if you like something a bit quirky.